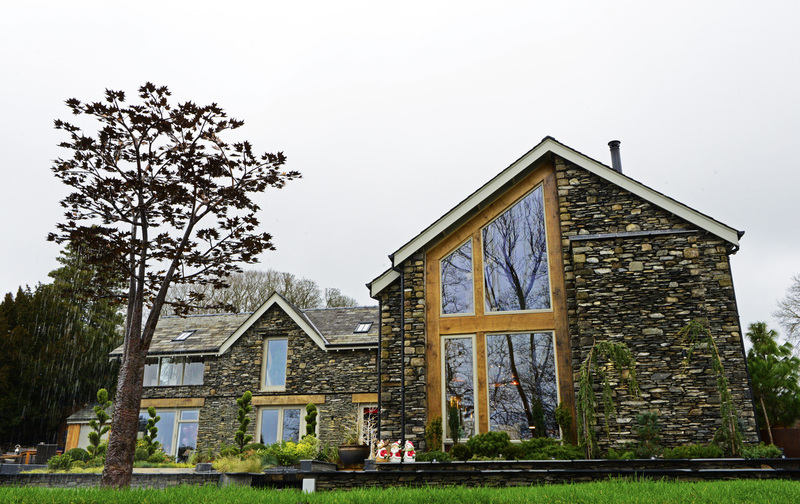 Cumbria is firmly rooted in history as an important part of the World Spice trade. 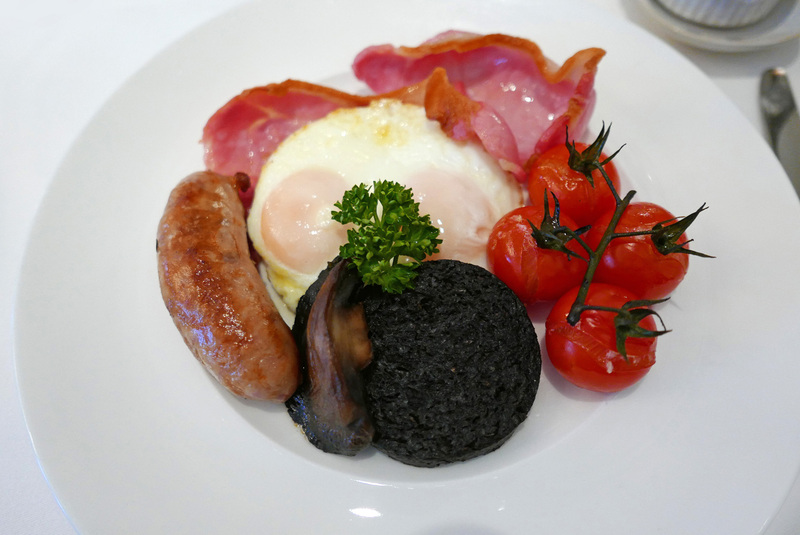 Gingerbread, Whitehaven Rum and spicy Cumberland Sausage all have intriguing connections stretching back to the 1600s. 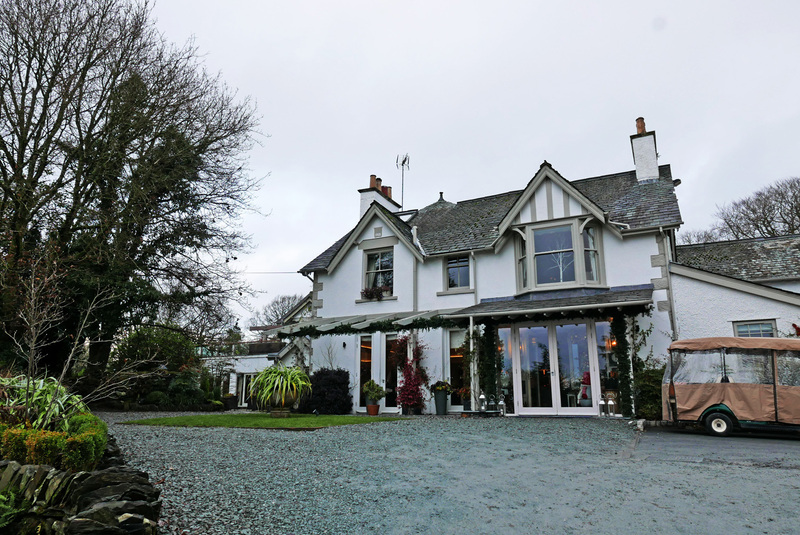 Gilpin Hotel (built as a family home in 1901) offers its diners unusual menus from two very different restaurants using the very best local produce to celebrate Cumbrian food. Chef Hrishikesh Desai`s appearance in 2015 has sent Gilpin’s country house cuisine spinning off in a whole new direction. 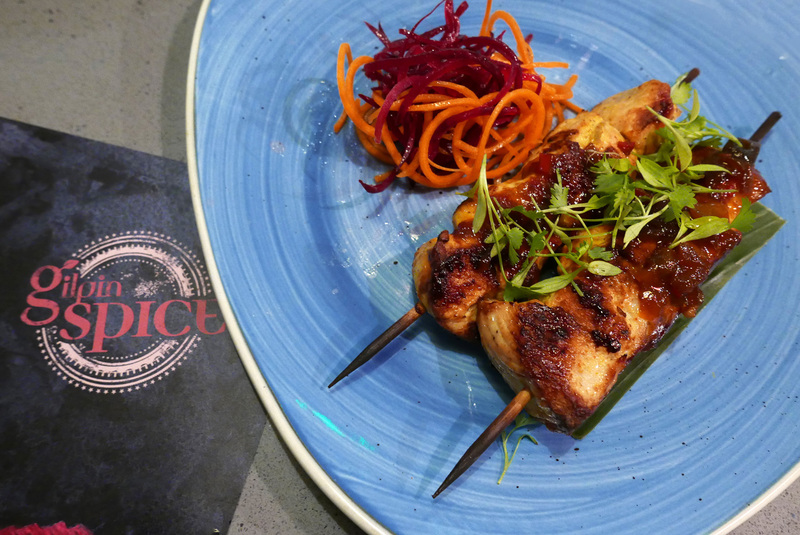 Since winning Alex Polizzi`s BBC `Chefs on trial` programme the Asian impact has hit hard enough for Michelin to sit up , take notice and quickly award a star. Chef earned his stripes in top end training grounds `The French Laundry` , Institute Paul Bocuse , Lucknam park as well as winning the UK Roux scholarship and the 2010 Chef of the year. 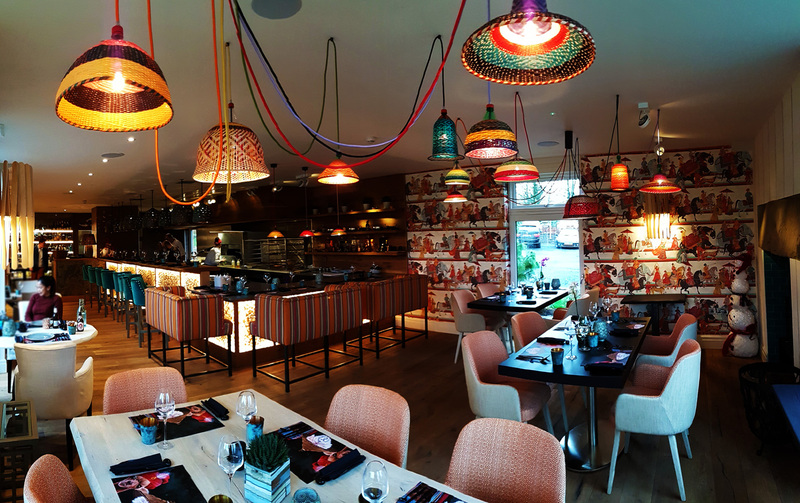 The grand entrance of Hrishikesh and his new and very interesting take on country house cuisine propelled Gilpin Hotel into totally new territory delivering modern British dishes with a twist of Asia. 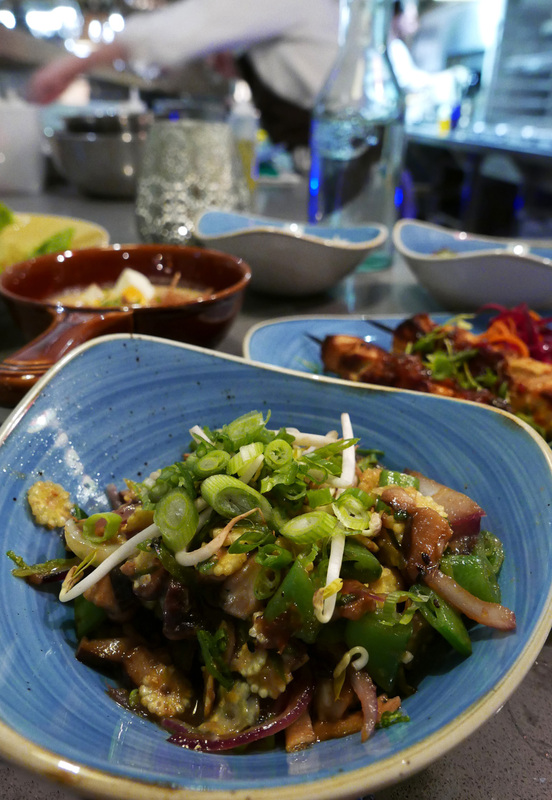 Chef offers the diners interesting new flavours which keeps the traditionalists happy but also encompasses a modern approach to ensure the experimentalists are satisfied. 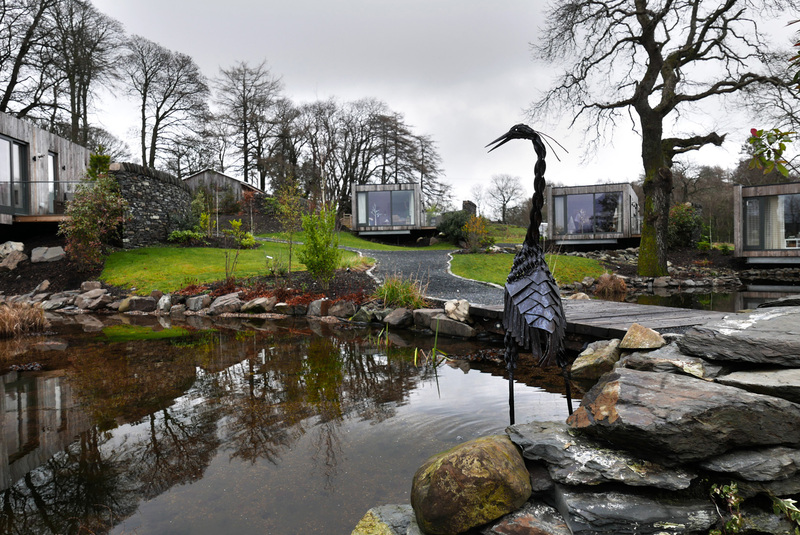 There`s two very different restaurants to choose from at Gilpin hotel which will certainly offer the guests an interesting visit. 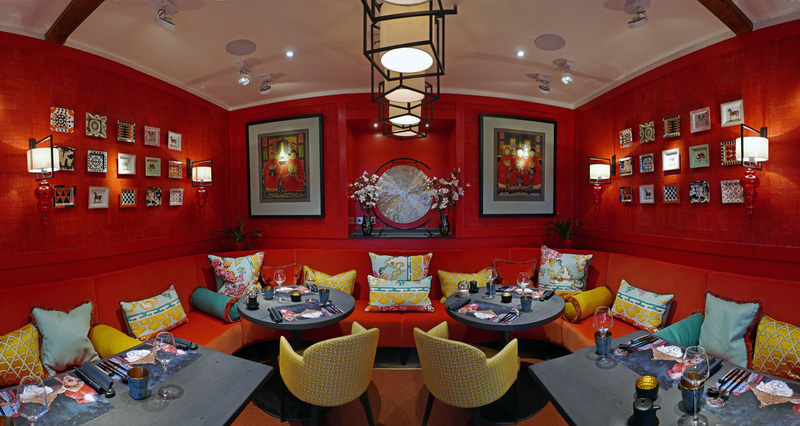 Gilpin `Spice` Restaurant is the more relaxed space offering Asian food with bar style seating arrangements for those who like to see the kitchen team at work. Try out Gilpin spice for a light (if you can do light) lunch then follow this with a more formal dinner in Gilpin`s fine dining `Hrishi` restaurant. 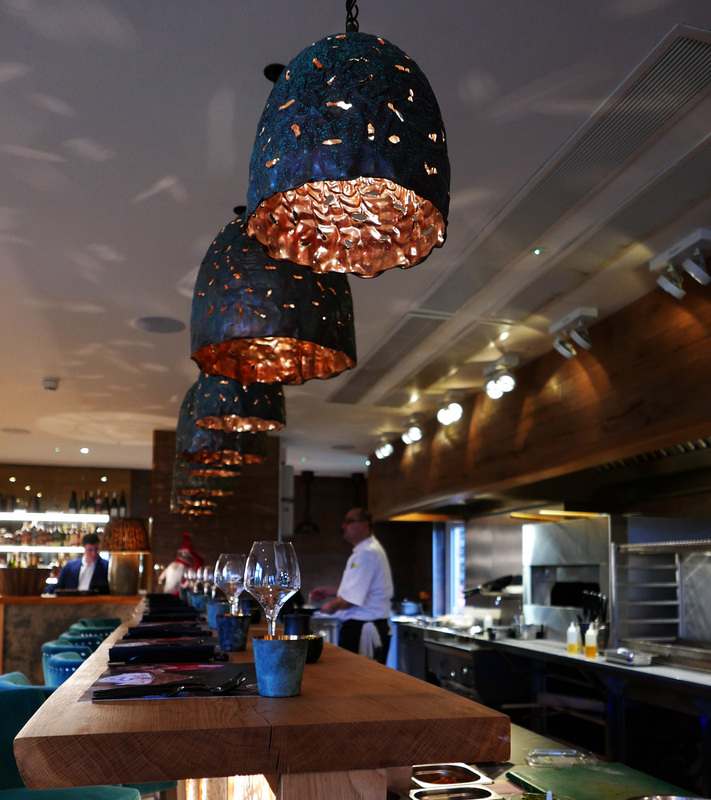 Four uniquely designed restaurant areas are where the serious dining takes place with a huge homely lounge as the centre point of the hotel. 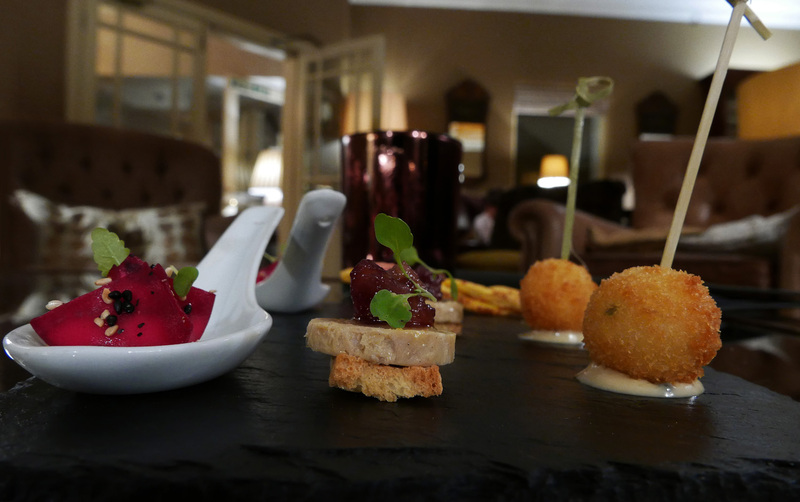 AMUSE BOUCHE – Beetroot Pakoras , Duck liver , Truffle cheese bonbon , Cheese straws. 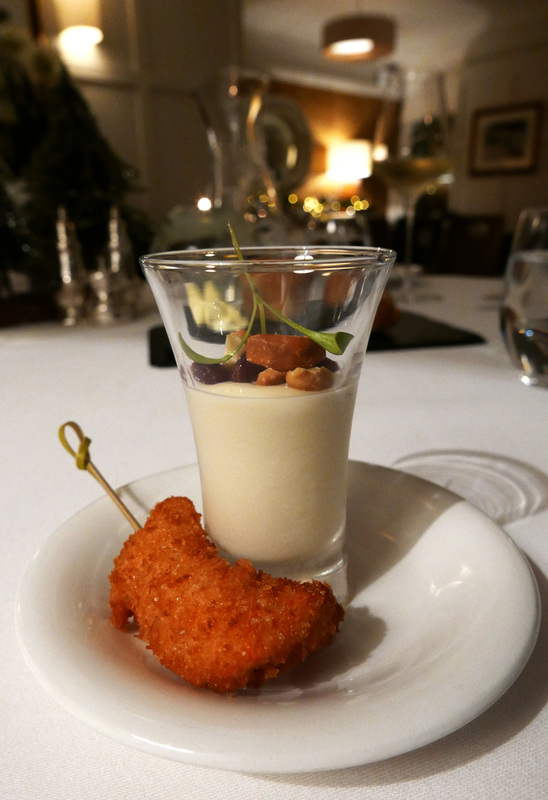 PRE STARTER – Cauliflower cream , Pecans , Red wine soaked Sultanas , Langoustine. 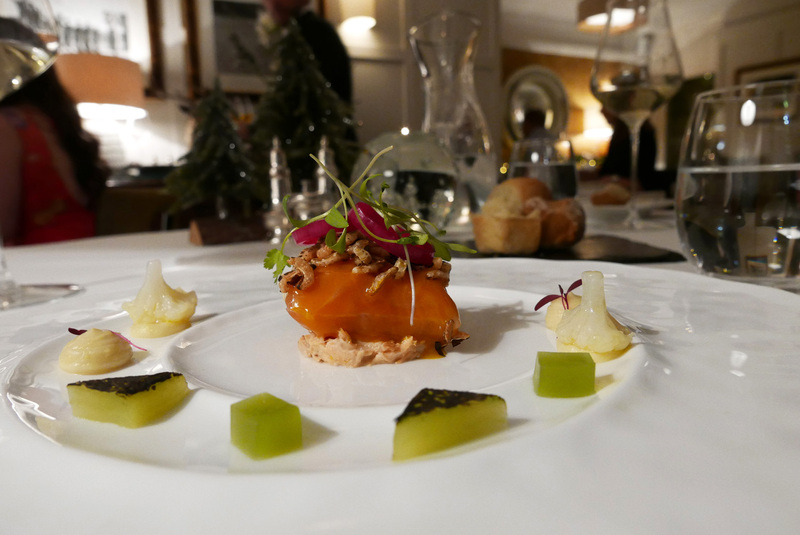 LOCH DUART SALMON `2 WAYS` – Gravadlax cured Loin of Loch Duart Salmon , home smoked Salmon Belly , Piccalilli flavours , Puffed Rice , Cucumber Jelly. MARINATED , POACHED AND PRESSED `DOMAINE DE LANVAUX` DUCK LIVER – Gingerbread , Coconut emulsion , Pineapple Chutney , Chocolate Jelly , Rocket Cress. 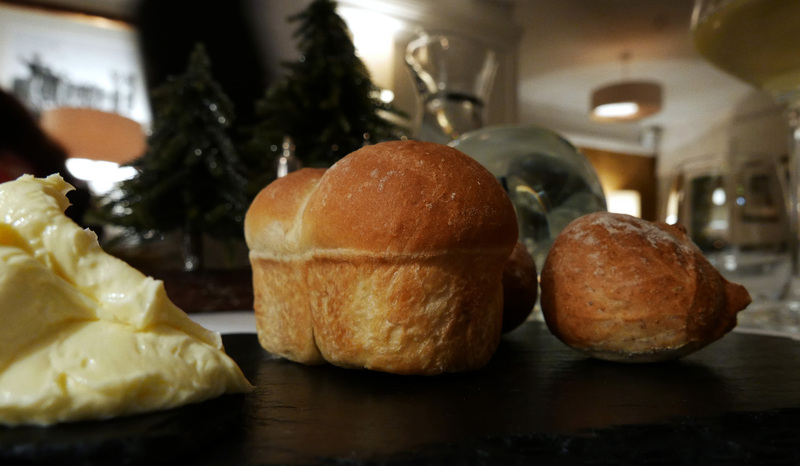 Cumbria plays a big part in the Gilpin hotel menus. 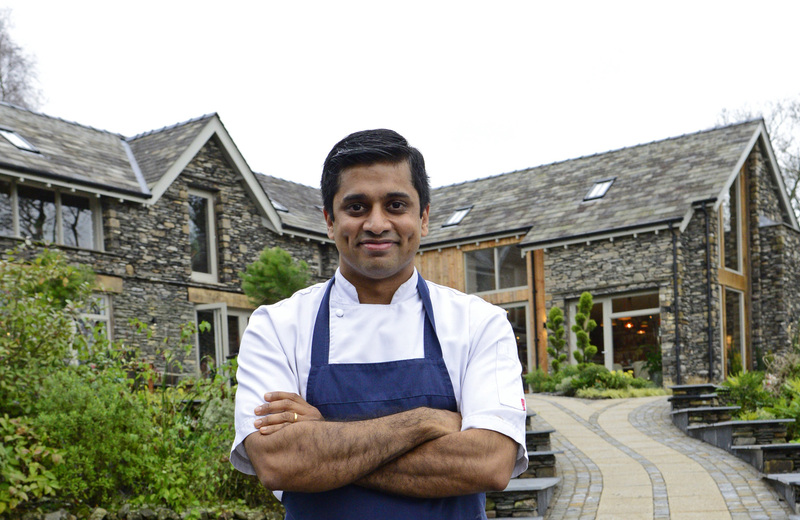 Historical connections to the Spice trade are evident throughout the Lake District and Chef Hrishikesh has wasted no time exploiting this to his advantage. 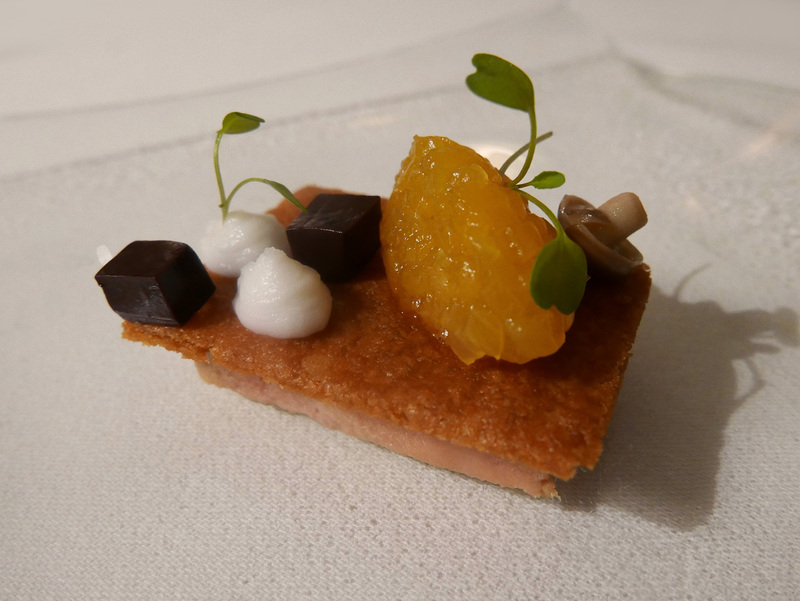 An example of clever flavour balancing came in this starter of Duck liver parfait capped with a wafer of spiced Cumbrian Gingerbread. The creative twist came with the toppings of tangy Pineapple relish, dabs of Coconut emulsion and bittersweet Chocolate jelly cubes. The plan is to eat a little of all of these together and it worked really well. 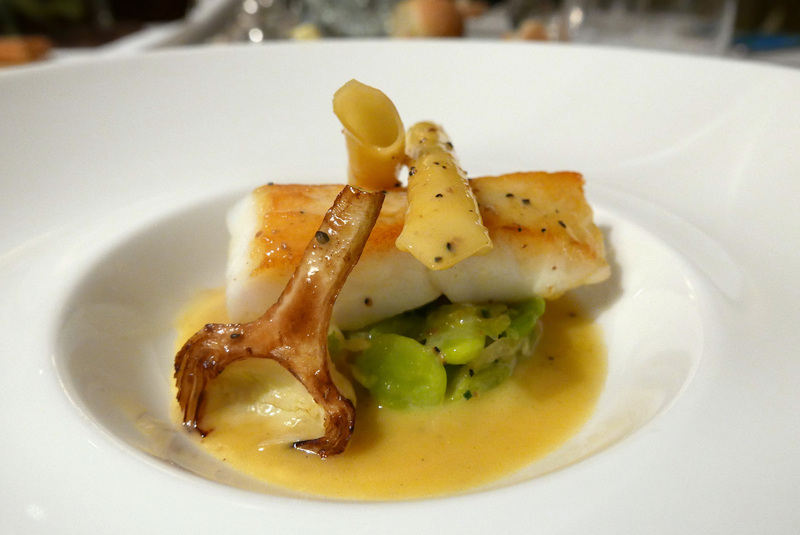 CORNISH TURBOT – Hand rolled Macaroni , Brown Shrimp , wilted Lettuce , Violet baby Artichokes , Truffle emulsion. A good demonstration of mastering the basics. 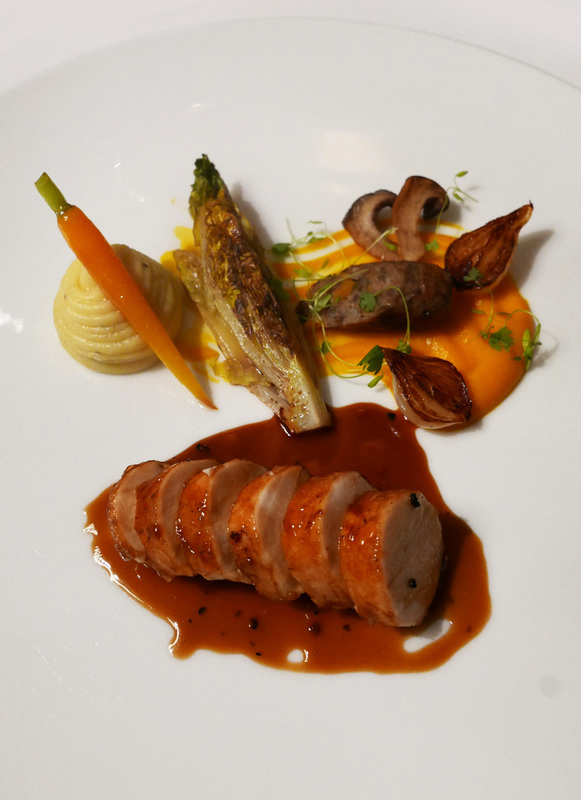 GOOSNARGH CHICKEN – Roasted breast with a dried fruit , Nuts and Sesame seed leg meat Sausage , Autumn Truffle creamed Potatoes , Charrred Lettuce , root vegetables. This dish was a great example of what can be achieved using a humble ingredient. Both the presentation and flavours were flawless and elevated to high levels by meticulous attention to detail and ingredient combining. The Chicken leg meat, carefully ground down with fruit, nuts and spices then formed into mini Sausages brought a lovely sweetness to the dish. One of Chefs best plates of food we agreed wouldn`t have looked out of place in a Michelin 3 star restaurant. 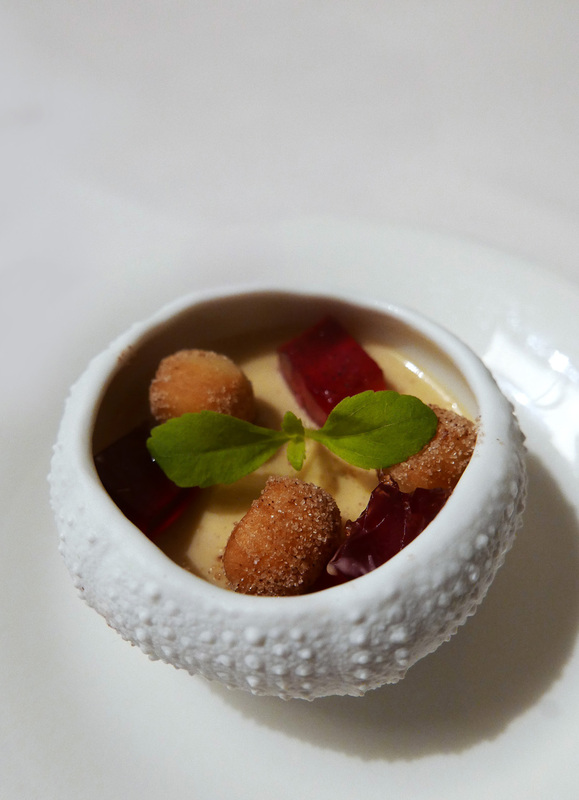 PRE DESSERT – Mincemeat Cream , Cinnamon spiced doughnuts , Mulled wine Jelly. These little dishes that arrive before dessert can change a few times over the course of the evening. The one that we had here was perfectly festive. 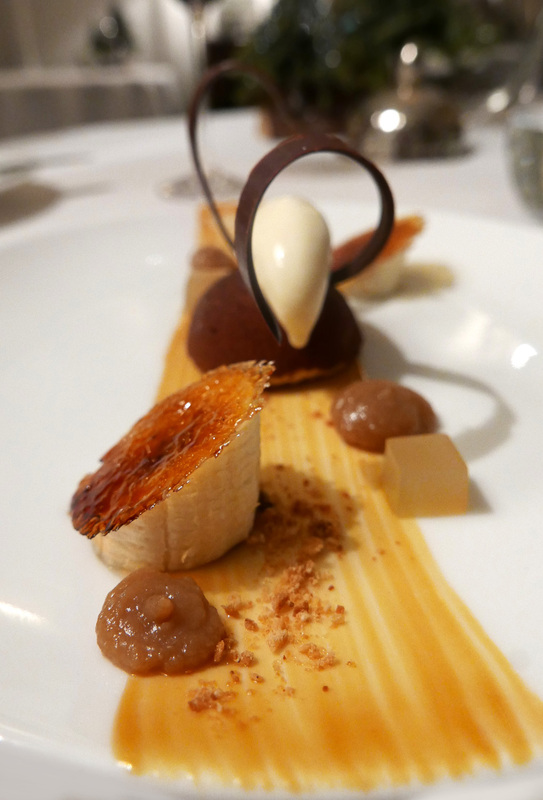 BARRY CALLEBAUT DARK CHOCOLATE & PEANUT BUTTER SEMIFREDDO – This creation comes with variations of Banana and an added treat, an Espresso cup of piping hot liquid Fudge which can only be described as a delightfully indulgent moment. 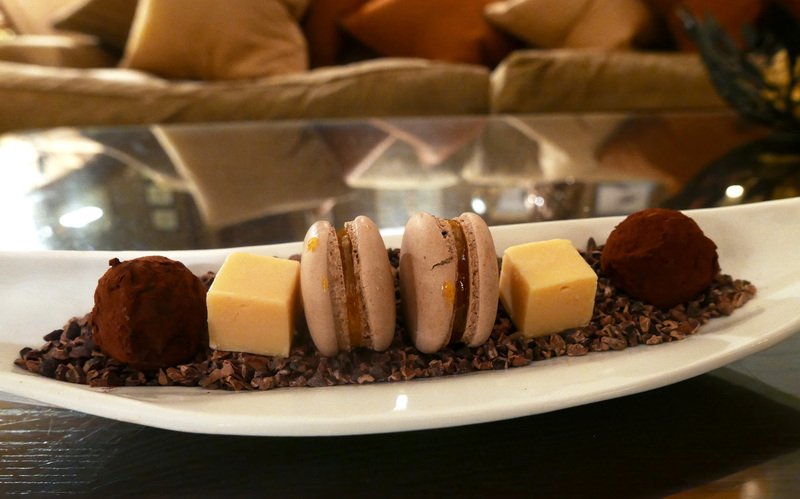 COFFEE WITH PETITS FOURS – Chocolate Macaron , White Chocolate Fudge , Chocolate Truffle. 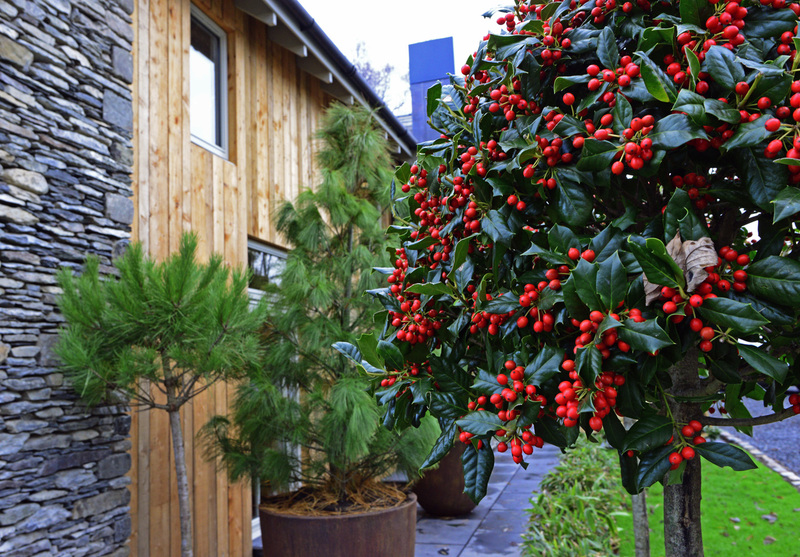 Neighbouring the main hotel is the newly opened `Gilpin spice`. Twelve months of Oriental research trips, cooking masterclasses and spice market visits have ran alongside the building renovation work simultaneously. 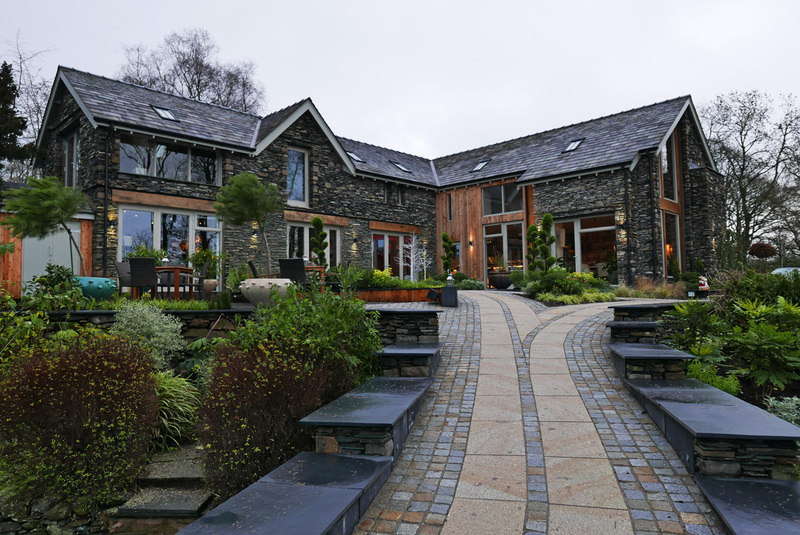 A November 2016 completion date seen the end to the project, restoring the old stable block and replacing it with the new `Gilpin Spice` restaurant. Authentic, informal and well researched dishes from the Asian Spice routes play a part in Chef Desai`s adventurous new menu. Guests could be fooled into thinking that the stunning interior design has been created by a high end interior designer. Not the case, as the owner Barney`s 74 year old mum is the main contributor to the Hotels design and vision. 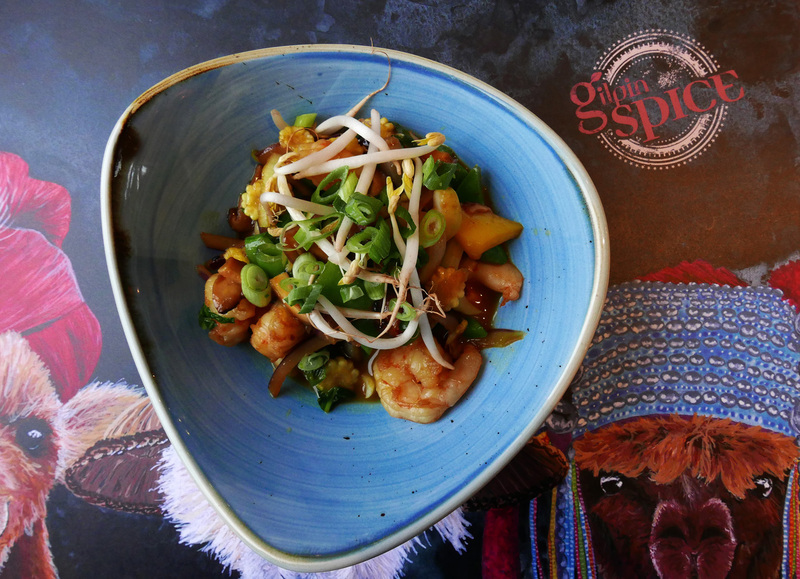 Walk into the newly opened `Gilpin Spice` and you`ll be transported into Indian, Chinese, Malayan and Japanese themed rooms with a real air of authenticity. For those with a passion for beverages there`s a really interesting menu ranging from Oriental Cocktails , Sake , wines , Asian Beers to specialist Teas. 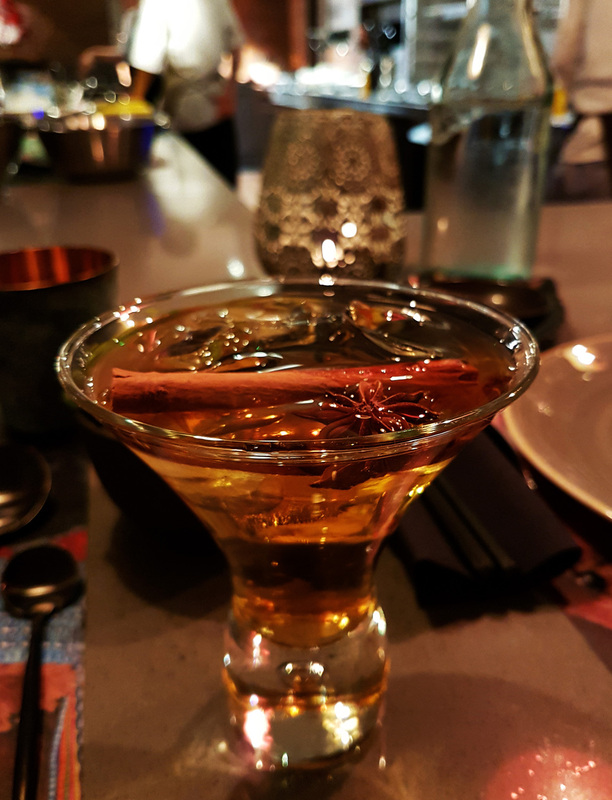 `Dusk of Bangkok` (£14) a potent blend of Prosecco, Apricot Brandy , Cointreau , Blue Curacao , Dry Orange liqueur, Mango and Lime juice has got off to a very popular start over at Gilpin Spice. For the `designated driver` a non-alcoholic `Baby Funky Monkey` (£7.00) blend of Pineapple , Citrus and Almond comes as the more sensible option. We chose the Hitachino Nest Red Rice Ale (£4.25) from Japan to accompany our food at Gilpin Spice. An imported specialist Beer with sweet Sake-like Malted flavours, hints of Strawberry and a delicate finishing note of bitterness matched the delicately spiced food very well. Slow baked Herdwick Lamb shank with Hyderabadi Masala sauce and crushed Potatoes. 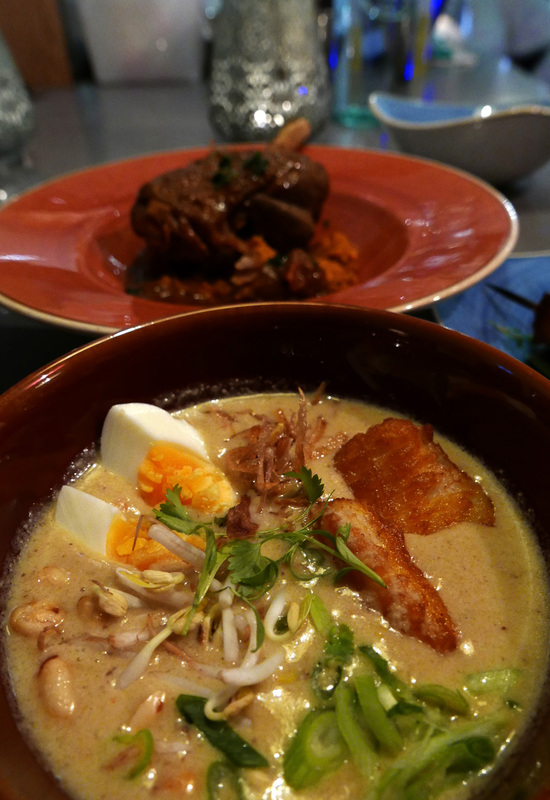 Malaysian Laksa with Brixham Hake fritter. Classic Chicken Tikka cooked over Charcoals. 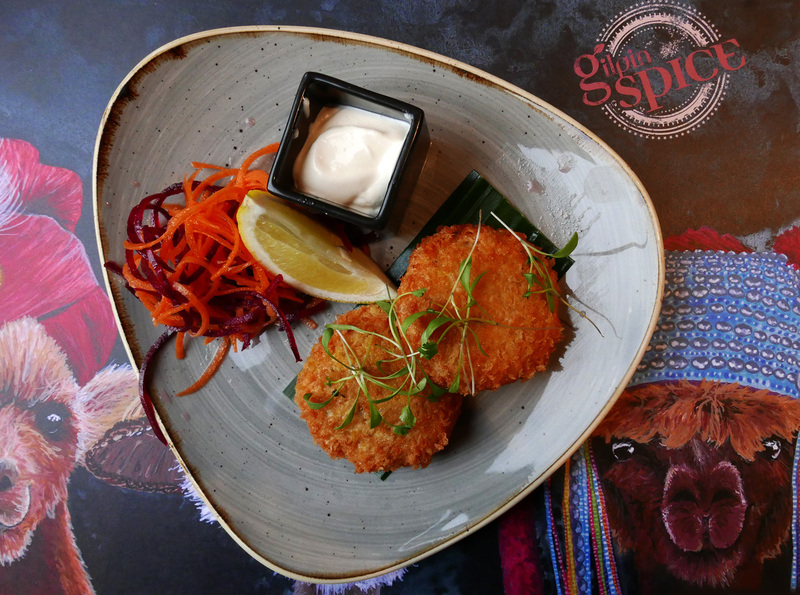 Fishcakes – Curry leaf , Cumin and mild Green Chilli , Tempered Brixham White Crab meat with Loch Duart Salmon and Lemon Mayonnaise. Stay in the main hotel if you`re watching the pennies or just have a moment of madness and book a Spa lodge if you want to blow the budget. 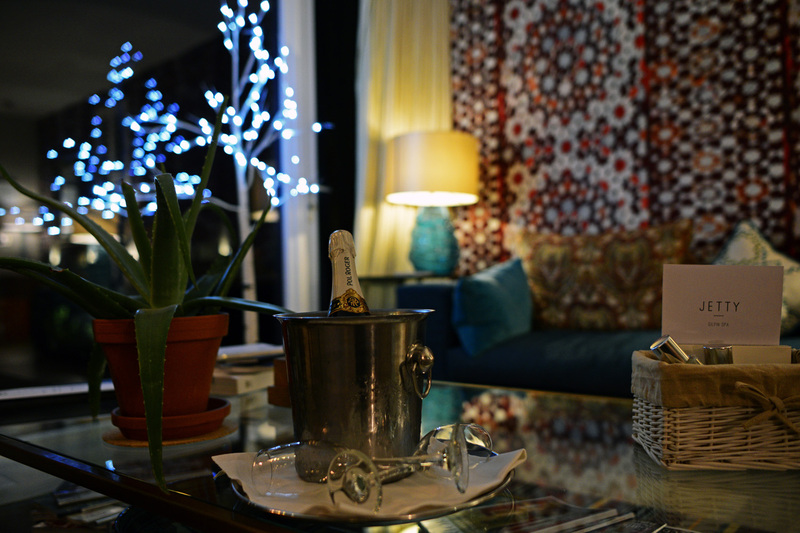 Either way you`re going to experience hospitality and culinary perfection second to none. 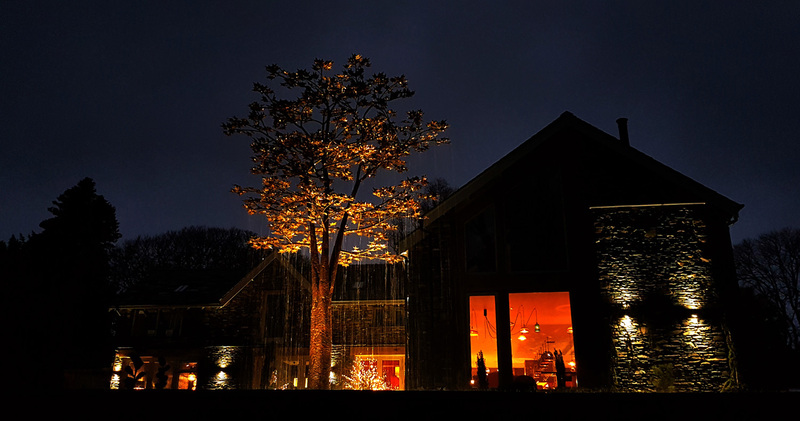 In addition to this there are no weddings, conferences, or children under 7 permitted in the Hotel, which presents Gilpin as un-commercialized, tranquil and pretty faultless in every way. I can honestly sum the whole package up in one word…. Perfection. 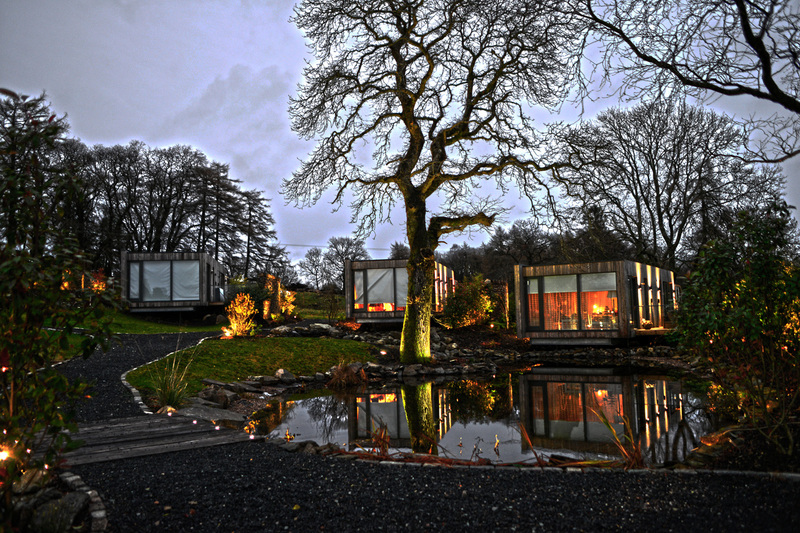 Spa Lodges from £595 Dinner B&B per room per night. Hotel rooms from £276 Dinner B&B per room per night. 4 Course dinner in `Hrishi` restaurant £65 per person inclusive of Coffee and treats. 8 Course Tasting menu £85 per person inclusive of Coffee and treats. £145 with matched wines. We experienced Gilpin as guests of the hotel. 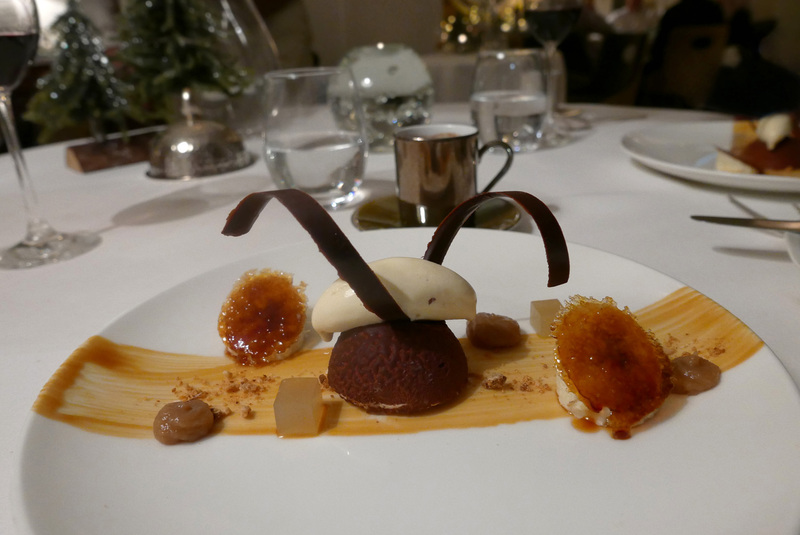 Next Post Sharrow Bay , minus the Sticky Toffee Pudding. I don’t think I’ve been so envious of so many things in one blogpost. 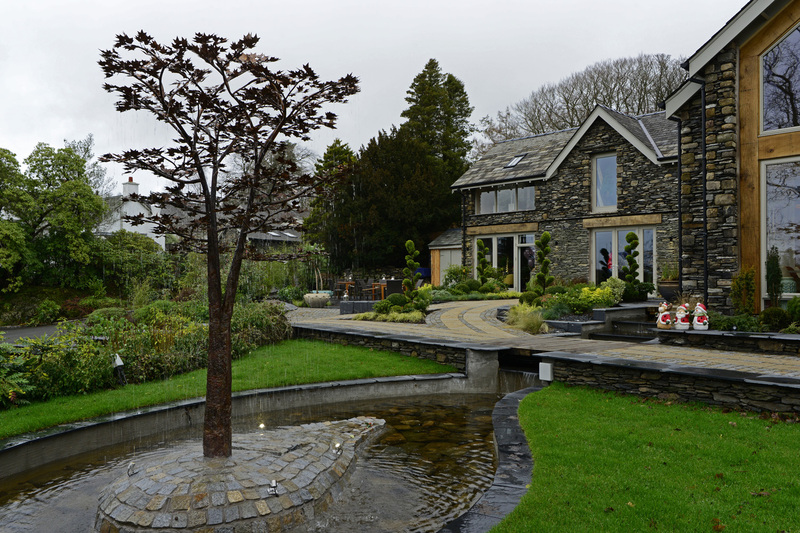 From the food, drinks, spa lodges (I must go sometime) to the Ornamental tree fountains ( that are a must have for my back garden). All looks amazing.